Connected smart home company Wink on Tuesday announced its first home security bundle featuring all its own-brand products, rather than including compatible products made by other companies. The Wink Lookout set includes two open/close sensors for use on doors and windows, a motion sensor with pet sensitivity for placement anywhere in the home, a siren and chime alarm with built-in flashlight, and the unifying Wink hub. No subscription is required to use the products, which communicate through the hub and can be monitored using an updated Wink iOS app that features sensor-trip alerts, siren control, and an emergency services/trusted contact call option. 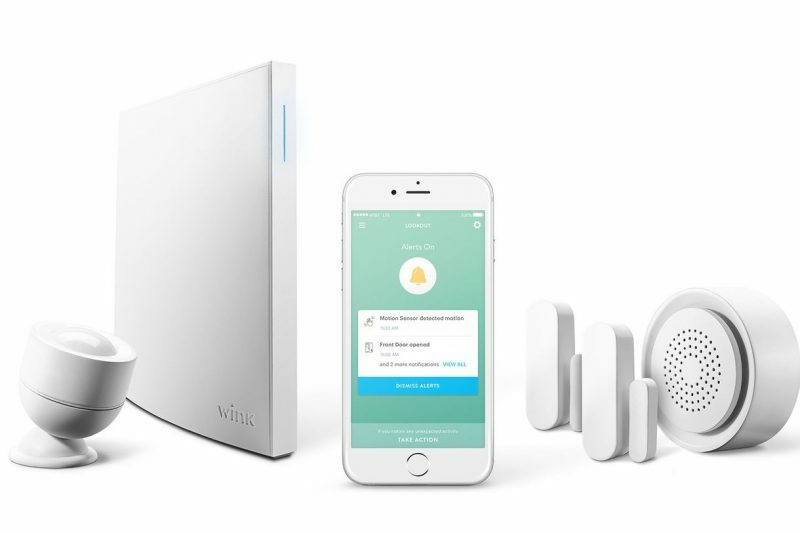 The new Wink home security bundle costs $199, which is significantly cheaper than the similar Nest Guard at $499. The Wink Lookout set will be available from October 31 at Home Depot and on Amazon. Sensors can be picked up individually for $29, as can the home motion sensor and siren, which cost $39 each. The set includes free shipping in the U.S. backed by a 30-day return policy. Not bad. Not bad. This space is getting some nice options. (Except the one by Nest:mad:) To me, paying for monitoring is a rip-off. You're basically paying for someone else to call the cops when the alarm is triggered. I can do that myself. But is it HomeKit compatible?! Apart from this, I still haven't found a company making a really easy simple hasslefree product in this sector. Maybe HUE, but it's just lights. I still haven't found a company that has homekit compatible window blinds adapters. I've had a Wink system for nearly 3 years now and after repeated promises, it hasn't gotten much better. I slowly started building up a HomeKit system around it and at this point, I barely ever touch the Wink Relay on my wall. I use IFTTT and Wink for some non HomeKit devices but I stopped trusting the company and haven't expanded my Wink system. I guess they must be doing something right for some people to still be in business but I wouldn't recommend them. The only thing that could save Wink for me is if they adopted HomeKit and added it to their existing devices in a firmware update.